Remember when I mentioned that I would be crafting four Halloween projects for Better Homes & Gardens? 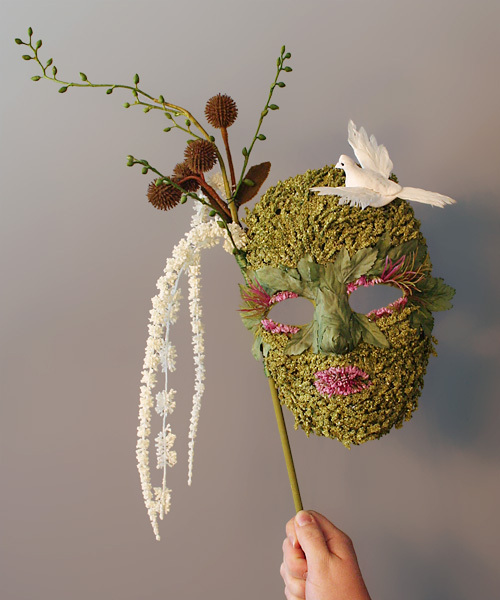 Well I’m thrilled to finally be able to share the first project with you: a Halloween mask. The other three bloggers each used masquerade masks (which I did not know until after I had completed mine), so as the odd duck out I was asked if I could cut my mask down to size. You have no idea how nervous I was as I took scissors to it! Looking at the others I suppose I should have cut into the nose more, but I didn’t have a reference to work off of so I winged it. Luckily I managed to pull off the last-minute alteration without destroying the mask in the process. Phew! 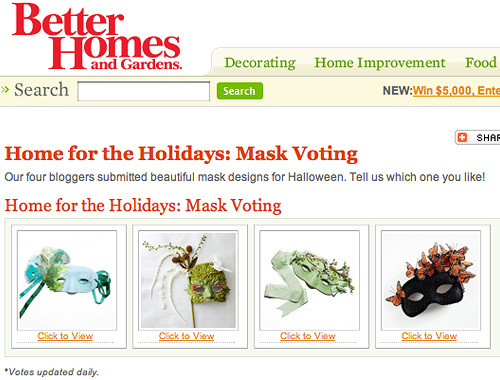 You can view all four masks at BHG.com, and you can vote each day for your favorite until October 10. After that, there will be three more Halloween craft projects, with a winner for each. One overall winner will then be chosen to commission an exclusive design for the October 2011 issue of Better Homes & Gardens! 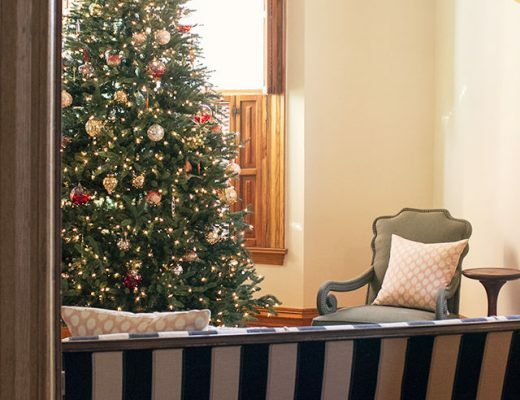 That would be amazing, but I’m honored just to have taken part and thankful to Better Homes & Gardens for this fun opportunity. And I can’t wait to share my other projects with you. Oh my goodness, that is so PRETTY. I could totally see a little wood fairy halloween costume. Nice work! It’s a shame they made you cut it down, but I like the end result! I like the final version best too. I voted for your this morning, without even knowing that it was you! Oof, I can see why you would be nervous cutting that down, dried flowers can just be crushed away with little force. Yours is absolutely the best – I’ll head over to vote now! Great job! So fabulous. Got my vote! I wish you didn’t have to cut it- I love the full face mask. 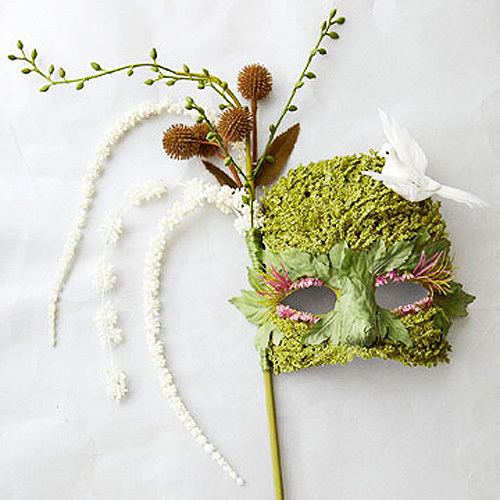 Masquerade masks remind me of mardi gras, your full mask looks like the start of SB awesome Halloween costume. that is so gorgeous, and so YOU!! It looks amazing, Nicole! I’m sorry that you had to cut it down but it’s beautiful both ways. I love it! It looks beautiful both ways but I do like the half-mask better. I love that you used flowers rather than typical construction materials. very nice mask! best wishes for the competition! So pretty! Are you going to wear one of these for Halloween? Voted! Well done – it looks great! They’re all pretty, but I think yours is definitely the most labor intensive and took more creative effort. It’s beautiful! Do you get it back when they’re done? Looks really beautiful and is the best one. Good luck! cut enough or not, doesn’t matter, b/c yours looks the best by far! 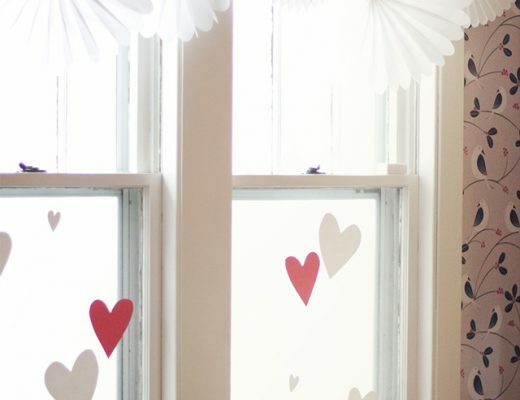 This reminded me of your dining room once you get all the woodwork painted white. Have you thought of going with a more rustic table and one of the black chairs that you featured? Maybe even painting the inside of the built in a nice gray? Just some thoughts. I can’t wait to see how it all turns out. I love them both Nicole:) So adorable and inspiring! Your creations are always beautiful. It is beautiful and clearly reflects that a lot of effort went into it. It’s a shame they had to “Cut off” your work . . . I can’t believe they asked you to change your art/design; in either case, you win hands down!! Voted – yours is gorgeous! Simply Fallicious! Love the shorter style mask you will get my vote! Yours is much more elaborate than the others. They are beautiful as well, but it looks as though yours was A LOT more work. I would have thought BHG would have established size guidelines before assigning the project. Bad forethought on their behalf, IMO.